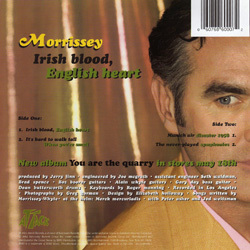 The USA 7" was given away to people who pre-ordered the "You Are The Quarry" album in early May 2004. 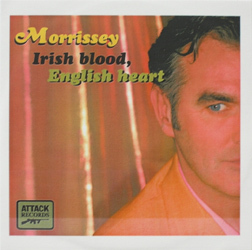 When sold, it was available in two versions: black vinyl or clear see-through vinyl. 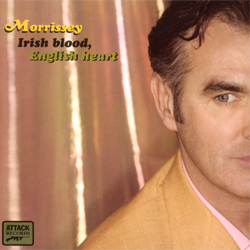 The 4 tracks from this single were also made available for download from iTunes on 4 May 2004, which is the date when the single was released in the USA. 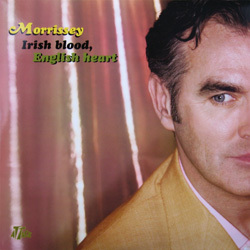 Nominated for best single at the 2004 Q Awards (UK). 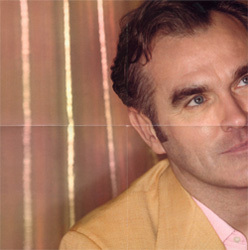 Morrissey, photographed by Greg Gorman. The back artwork and the cd-single #2 poster feature different photos from the same session. UK and Europe: One-track cds (Attack/Sanctuary, ATKPX002) were sent to radio to promote this single and the upcoming "You Are The Quarry" album. 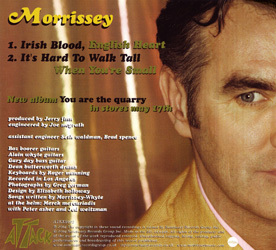 The earlier versions were slipped in a card sleeve with the regular artwork inside a white border (view in left frame), while later promos were found inside a thin jewelcase with regular artwork. 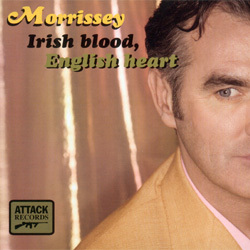 A one-track promo video (PAL format, GB-479-04-0016-0) was also distributed for promotion in the UK around the time of release of this single. In the UK, some of these cds and videos have an artist information sticker on them. The title track was also included on various artists radio promo cds titled "Mastermix Pro Disc 47" and "Hit Sheet - Issue #49". Australia: A one-track VHS videotape was distributed to promote this single. Germany: The UK/Europe one-track promo cd in jewelcase mentioned above was sent to radio with a promo sticker in German on the front. 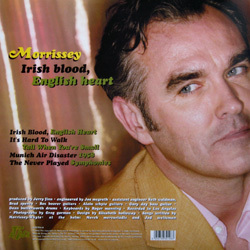 The cd was usually distributed with a press release in German, with lyrics and photo. 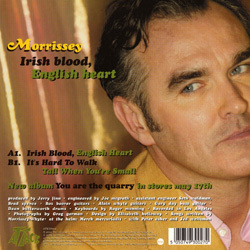 Ireland: The UK/Europe one-track promo cd in jewelcase was sent to radios with a BMG Ireland sticker giving the single's release date and information about Morrissey's new releases and tour dates. Israel: The UK/Europe one-track promo cd in jewelcase was distributed for promotion with a sticker giving release information in hebrew on it. Sweden: The UK/Europe one-track promo cd in jewelcase was sent to radios with a BMG Sweden artist information sticker. USA: A one-track cd (Attack/Sanctuary ATMDJ-85613-2, same artwork) and a one-track video (no artwork or catalogue number) of the title track were the main tools of promotion of this single and also served to promote the upcoming "You Are The Quarry" album. 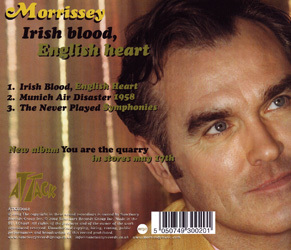 Stickered copies of the stock cd in wallet picture sleeve were also used for promotion. 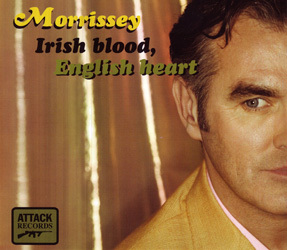 "Irish Blood, English Heart" was included on a various artists promo cd titled "Landmark Music" and a promo cd/dvd combo titled "Cornerstone vol. 053" (audio only, no video).